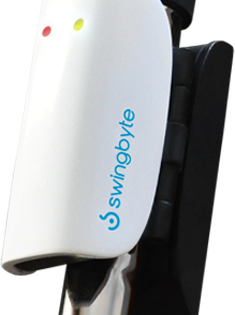 If you haven’t heard of The Swingbyte, you’re missing out on some great new technology! This little gadget, when attached to your club as shown below, can give you instant readouts of club head speed, ball speed, swing path and swing angle. 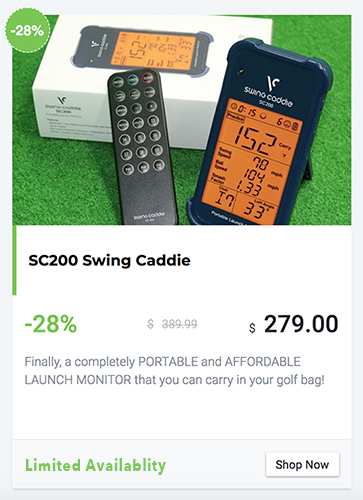 The device is incredibly light and compact so it won’t take up much room in your bag and won’t weigh down the club. It easily synchs up with any mobile device with bluetooth capability such as tablets or phones. 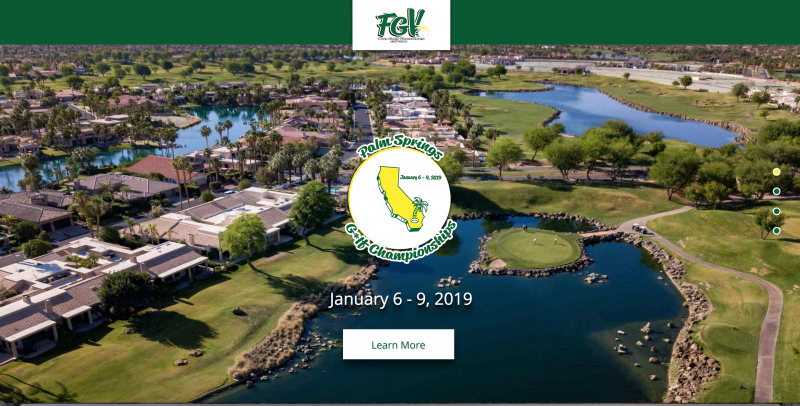 It’s the perfect training aid for instant swing analysis without lugging a camera, tripod and laptop out to the range – because let’s be honest, who’s actually doing that besides the club pros? Not only would it be inconvenient, you’d kind of look like a goofball! The Swingbyte comes with a small, micro-USB cable for rapid charging which is great because many electronic devices use micro-USB connectivity so you probably already have a bunch of spare cables lying around. You can immediately fix mistakes and see how your swing stacks up against others. Check out the 180-degree video below and click the “+” symbol to see a screenshot of the mobile app – available on both iOS and Android.